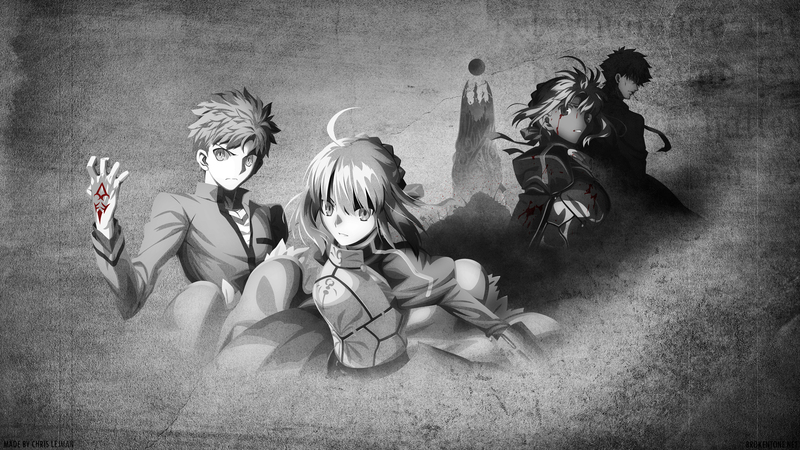 I've wanted to make a Fate Zero wallpaper for a while now, especially with Kiritsugu, so I'm glad I managed to get him in there, even if not in foreground. Generally I wanted to focus on Saber here and contrast between past in Fate/Zero and future in Fate Stay Night. Deto, deto, deto. This is a bit unlike you for monochrome wallpapers. Normally the colours sparkle through your monochrome works so, some more red would have been nice. I do really love the central part. It looks really great and the mood there is just perfect. I'm not sure about the grungy part for the rest. Might have been better to be more plain grungy than with stuff on it.